Please refer to https://launchhacks.tech for the most up to date prize list as this list may change at any time prior to the event. Grab these shiny new mechanical keyboards to alleviate your hand discomfort! Fancy a fast storage solution for all of your hackathon project development tools? Try out this blazing 128GB External M.2 SSD! P.S: These are SLC SSDs for maximum longevity. *Includes Type-C to USB 3.0 cable. No Type-C cable. Plot all your ideas on this new and fancy whiteboard solution! Write your detailed cornell notes in this reusable notebook! Who would like a free .TECH domain? Don't want your new fancy webapp to get hacked? Grab this AWS Security solution generously sponsored by CloudSploit! Exact details will be announced via email shortly. RSVP form is due by 11:59PM on April 20. If you do not RSVP by this date, we cannot guarantee you a spot, so if you have not registered yet for the event at https://launchhacks.tech, do so prior to April 19th! Your Submission must: (a) be your (or your Team or Organization’s) original work product; (b) be solely owned by you, your Team or Organization with no other person or entity having any right or interest in it; and (c) not violate the intellectual property rights or other rights including but not limited to copyright, trademark, patent, contract, and/or privacy rights, of any other person or entity. An Entrant may contract with a third party for technical assistance to create the Submission provided the Submission components are solely the Entrant’s work product and the result of the Entrant’s ideas and creativity, and the Entrant owns all rights to them. An Entrant may submit a Submission that includes the use of open source software or hardware, provided the Entrant complies with applicable open source licenses and, as part of the Submission, creates software that enhances and builds upon the features and functionality included in the underlying open source product. By entering the Hackathon you represent, warrant, and agree that your Submission meets these requirements. Please register on https://launchhacks.tech at least 2 weeks prior to the event date. 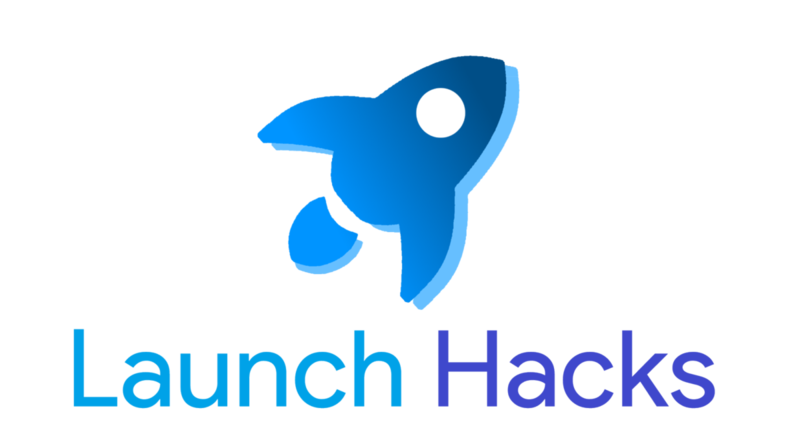 LaunchHacks Judging Criteria April 27-28, 2019 | 42 Silicon Valley Categories Overview: Winning categories are split into two general sections: Overall Prizes and Special Prizes. Note: You may still win a prize even if you did not qualify for these categories. Prizes are chosen based on your team's total points value. Overall Prizes include the traditional categories (1st/2nd/3rd place) as well as other general categories such as Best Design. A weighted point scale will be used to assign prize points to each valid submission (Specific point designation TBA). Best projects overall, with equal weight in all criteria. Most outstanding project in the design criteria category, which includes emphasis in the topics of usability, user experience/interaction design, scalability, overall experience, and performance optimization. While the project itself may not be award-winning, this category aims to reward teams with the most compelling presentation. We would like to promote the development of outstanding ideas and concepts, no matter how unrealistic or crazy they may seem! Best project created by a team comprised of first-time hackathon participants. Add. points shall be awarded to submissions that have outstanding attributes. Special Prizes are provided by our sponsors and have a specific criteria to meet. Teams can win both a Special Prize and an Overall Prize, but cannot win two prizes in the same category. Best project that is hosted on a website ending in .tech. Best project that uses the Hasura API. Best project that exemplifies web security.